This is not a basic upholstery course. 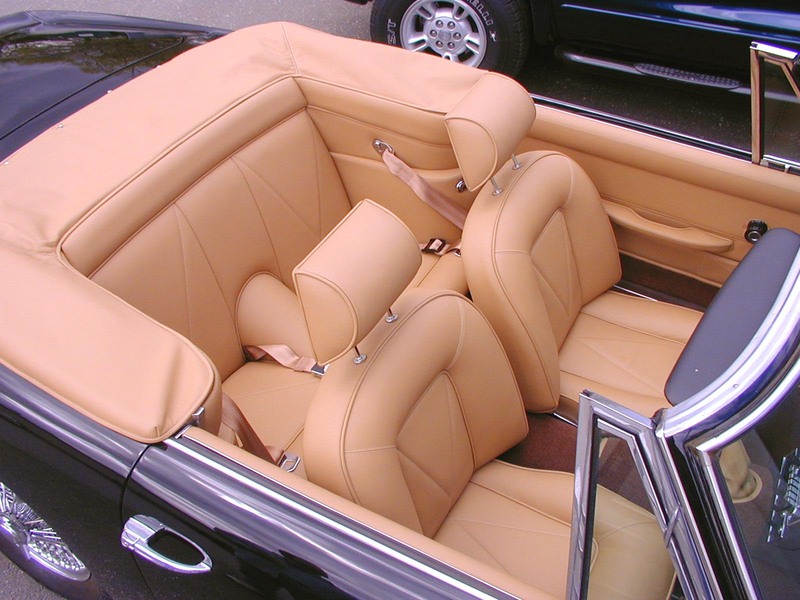 With the growing popularity of leather and the increasing number of luxury automobiles, sports cars, motorcycles, aircraft, yachts, residential and commercial interiors, there is an increasing demand for trimmers and upholsterers experienced with leather. Whether you are a one-man shop or a large shop, the Advanced Leather Workshop will be beneficial to you or your employees. There is no substitute for hands on training. Increased technical ability by you or your employees will lead to greater enthusiasm and confidence in the workplace and benefit you with better productivity and more efficient use of shop supplies and equipment. People from all over the USA, Canada, Carribean and as far away as Saudi Arabia have taken advantage of this rare opportunity to get into the high-end and high paying lucrative market of leather trim. Increase your bottom line. The workshop will take place at Coachtrim's shop located in Danbury, CT.
Students will have a reasonable time frame to practice the skills that are demonstrated. Attendees will also perform set exercises using a variety of leather, hand tools, machinery and equipment. This is a serious professional hands-on workshop. Students will be awarded a certificate upon completion of this course.